Instead of counting sheep to get to sleep, humorist Patricia Marx counts the divorced couples she knows. When I was in junior high school I excelled in literature and math. You know -- fractions, algebraic equations, and Venn diagrams. Economics, not so much. Too many theories, too abstract. It wasn't concrete. 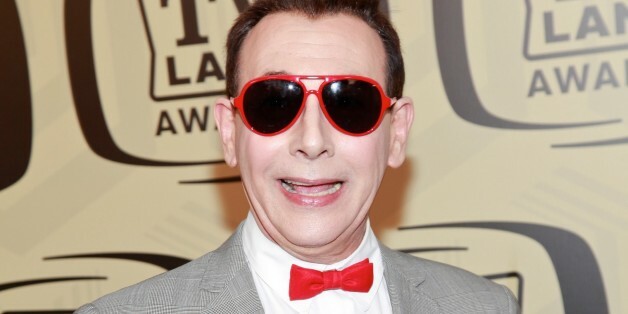 Thanks to "Pee-Wee's Playhouse,' many of us grew up with a healthy appreciation of the absurd. But that's not all. In honor of Paul Reubens' 61st birthday (yes, 61), we're taking a look back at the colorful lessons we can learn from one of our favorite fictional homes ever. The secret word is "amazing." Digital immortality and downloadable consciousness is endlessly fascinating to me and I thought it would make a great movie and stimulate a really interesting debate. Erasure wanted to do something a little extra to spread light on this inspiring message of tolerance and to help raise money for an organization that is on the front line for gay and human rights. If you've been having trouble getting in touch with your inner child, why not live vicariously by going to Broadway's The Pee-wee Herman Show or Elf or both? There, you'll witness a pair of alive-and-kicking inner tots. This depressing film would have been more accurately described if it had been named "Despair." Everyone in it suffers enormously. Despite the sadness, I found it to be very interesting. The second week of January in 1987 was perhaps one of the most formative weeks of fandom in my entire life. It was the opening weekend of Star Tours at Disneyland. Star Tours is closing and a new 3D version of the ride will be opening in 2011.